Nursing home abuse is a problem that is often difficult to identify and, unfortunately, often goes unreported. By understanding the signs of abuse like bedsores, improper administration of medication and changes in behavior you can properly identify abuse and take the steps needed to get the help your loved one needs. If you suspect that your loved one has been abused or neglected while residing in an Oklahoma or Texas nursing home, you should report the abuse as soon as possible and contact the experienced attorneys at The Edwards Law Firm. Some common signs of elder abuse(http://www.edwardslawok.com/nursing-home-neglect.html) are often difficult to detect, while others are more obvious. By understanding all of these signs and the types of abuse that can result, you can better detect mistreatment and protect your loved one. If you detect any of these warning signs, report the incident immediately and get help for your loved one. Once elder abuse has been detected, it should be reported immediately. 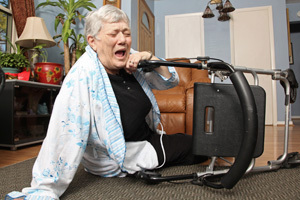 Most state laws require that healthcare professionals such as doctors, nurses and home health providers report suspected abuse or neglect(http://www.edwardslawok.com/how-to-report-nursing-home-abuse.html). You should always report abuse or neglect to your loved ones primary doctor, social worker or other management personnel who are not involved in the abuse. Discovering nursing home abuse or neglect can be a very emotional experience for your family. Having an experienced team of nursing home abuse lawyers on your side can help make things a little easier knowing that they have your best interests at heart. We also work on a contingency-only basis. This means that we only charge you for our fees and services if we obtain a settlement or verdict for your case.